When completed in 1867 it was one of the largest hotels in the world and one of the first giant purpose built hotels in Europe. 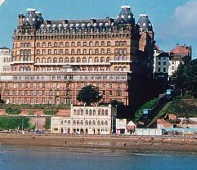 The Grand Hotel Scarborough boasted superb architecture with the design rumoured to be based on the theme of time. Four towers represent the seasons, 12 floors represent the months, 52 chimneys to represent the weeks and originally 365 bedrooms to represent the days of the year. Anne Bronte, one of the famous Bronte sisters, died in a house which was originally located on this site in 1849. 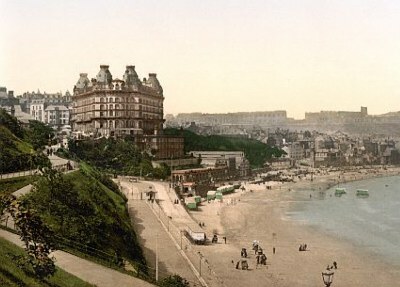 In 1914 a huge German naval bombardment of Scarborough caused major damage to the building. The hotel was acquired by Butlins in 1978 and underwent a refurbishment programme which included reducing the number of bedrooms to around 280. It was sold in 1998 but is still open today under the ownership of Britannia Hotels.